Arsenal are set to make a £35.4 million bid for Juventus centre-back and Manchester United target Daniele Rugani, the Daily Mirror report. Rugani has yet to nail down a starting spot at the Old Lady, and Arsene Wenger is now ready to take advantage, with Rugani keen to play every week. PSG are preparing a £25 million January bid to bring in Arsenal attacker Alexis Sanchez, according to Express Sport. 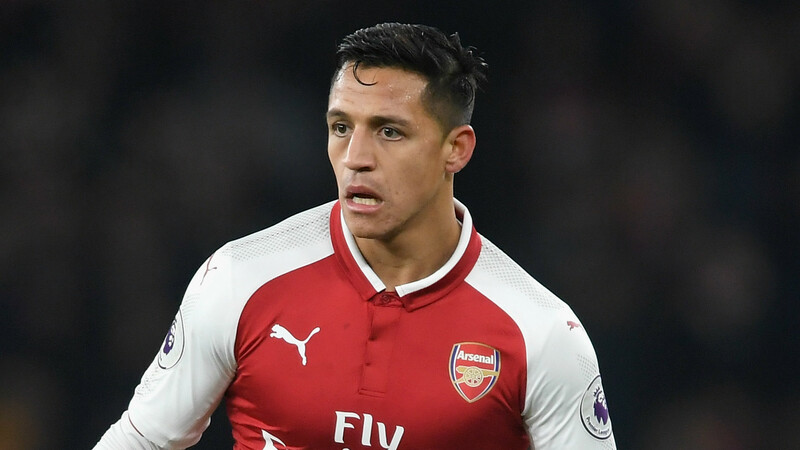 The report adds Sanchez wants a move to Manchester City, who are also expected to bid in January, but that PSG are hopeful a move can be done and will sell Edinson Cavani to make room. Sanchez, who is out of contract at the end of the season, is a potentially interesting figure for both PSG and Manchester City because he is not cup-tied in the Champions League. Barcelona are nearing the completion of a deal to bring Liverpool star Philippe Coutinho to the Camp Nou, according to Sport. The report says a contract of €12 million per year with the Brazilian has already been agreed, and that unlike the summer, Liverpool have set a fee of €150m for the player. Barcelona still need to agree with Liverpool on a potential payment installment plan, however, in order for the deal to come to fruition. While Jose Mourinho hopes for a reunion with Eden Hazard, Chelsea owner Roman Abramovich may prevent such a move from happening, according to Don Balon. United is preparing an offer of €100 million euros to trump Real Madrid, but the Blues owner has no desire to sell his star man to a direct rival. Jurgen Klopp is prepared to let Danny Ings leave Liverpool on loan but as a result will require Daniel Sturridge to remain the rest of season, according to the Mirror. Sturridge had hoped for a move away from the Reds with a mind toward making England's World Cup roster this summer but will only be allowed to leave if an offer of £30 million comes in. Chelsea are ready to make a move for Monaco attacker Thomas Lemar after an attempt to land Leon Bailey from Bayer Leverkusen has failed, according to the Evening Standard. The Blues were targeting a £20 million offer for the Bundesliga 20-year-old attacker, but with Leverkusen deeming him untouchable, Chelsea will move onto Lemar and make another attempt at signing Everton's Ross Barkley. Newcastle manager Rafa Benitez has finally landed his man, securing Kenedy in a loan deal from Chelsea according the Daily Mail. Kenedy appeared set for a move earlier this year only to have it blocked by Chelsea boss Antonio Conte, though the Brazilian has just appeared three times this season. Newcastle will pay a loan fee for Kenedy, with Benitez's transfer budget hindered by Newcastle's potential sale. Swansea are trying to lure former Manchester United and Netherlands manager Louis van Gaal to the Liberty Stadium, according to the Mirror. The Swans sacked Paul Clement on Wednesday and are in search of a manager with Premier League experience, with former West Ham boss Slaven Bilic also a possibility. At the bottom of the Premier League table, Swansea hope to have a manager appointed ahead of Saturday's contest with Crystal Palace. Newcastle want to bring in Leicester City forward Islam Slimani on loan, according to the Chronicle. The report, which cites Algerian papers, says the player wants a move to a Premier League side after failing to feature for the Foxes this season, with Newcastle and Watford making bids. It adds Newcastle were interested in Slimani this past summer, but were turned off by Leicester City's steep asking price. Tottenham are plotting an audacious move for Barcelona striker Luis Suarez, according to Don Balon. Spurs believe Barca may be open to selling Suarez as they target Atletico Madrid forward Antoine Griezmann, with the north London outfit having already opened talks with Suarez's representatives. But the former Liverpool striker is reluctant to leave Camp Nou despite the increased competition for a place in the starting XI. Atletico Madrid are ready to offload Antoine Griezmann to Manchester United in order to avoid a move to rivals Barcelona, reports Metro . The Liga club were moved to make an official complaint on what they see as an illegal approach from Camp Nou on their player. That bad blood could see United move into pole position for his signature, as relations between the two clubs have soured.